ANSI Z87 Poseidons I Goggles, Chemical Splash, Clear ANTI-FOG lenses. 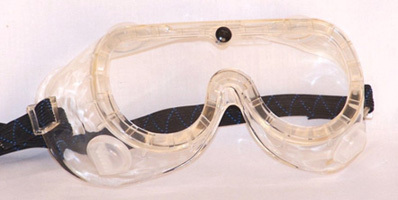 Industrial style goggles with anti-dust, chemical splash and impact protection. Soft, translucent PVC frame. Polycarbonate lens. Four indirect vents on bottom and top. Adjustable nylon/elastic black strap. Meets ANSI Z87+ safety standards.